SPACE brings passion, creativity and flair to bear on your spaces by they small or large. We believe great design to be at the heart of every improvement you are thinking of making. We are a small and friendly team, directed by partners, Lee and Emma. Lee is a degree qualified Interior Designer and has studied Building Surveying to degree level. He has 25 years experience in the construction industry. 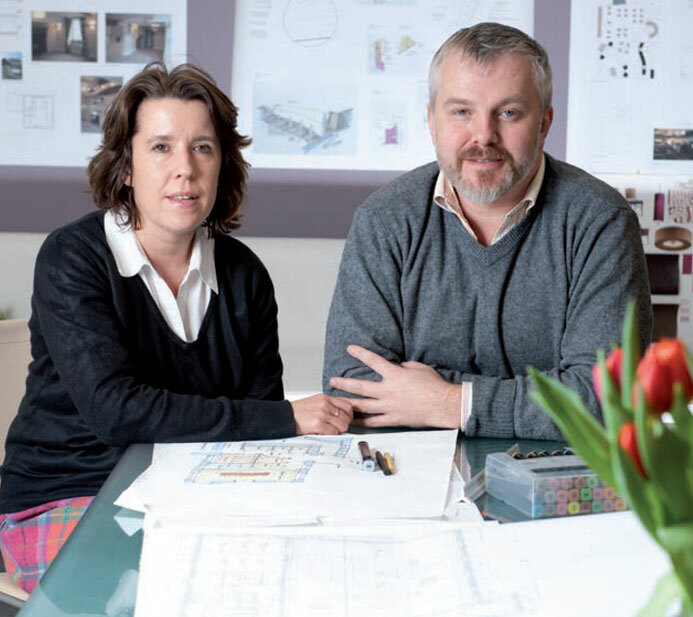 As an Interior Designer Lee is more than a tasteful selector of materials and finishes. Years of study and training in analysing how rooms work, and their adaptation to create new revelatory space, is the wellspring of the business. Structural Interior Design is Lee’s forte, so whatever your aspirations, contact us to discuss how we can help you acheive it. Emma has worked in the legal profession, specialising in property Conveyancing. She retrained recently and helps in the production of drawings and administration of the company. We are assisted ably by our smart, efficient and effective Draughting and Administration Assistants. We have a deep and practical understanding of build processes. Rational optimism pervades our ethos, grounded in a firm belief of our ability to deliver successful outcomes over decades of professional practice. We pride ourselves on our ability to grasp ideas and present them in a clear understandable way. Working at all scales, our team is committed to creating stunning spaces that work for you. For examples of our projects and inspiration for yours, see our Portfolio.